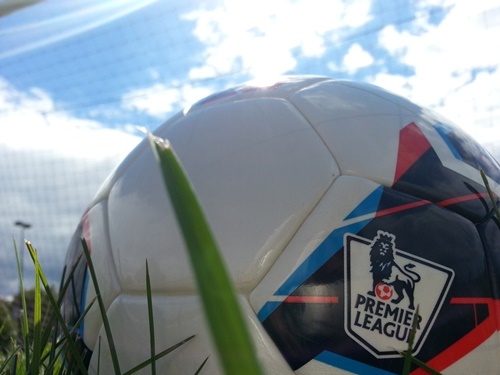 Less than two weeks remaining in the pre-season before the Premier League season starts so I’m bringing my team by team previews to follow up my 2014-15 Premier League season predictions. For each team I’ll give a quick synopsis of where they finished last season, what they are expected to do this season and what my own prediction is for them. Previous Season: Last season Arsenal kept a total of 17 clean sheets all season in allowing the fourth fewest goals all season with 41. Their 24-7-7 record was good enough to give them 79 points and a fourth place finish, three points behind Chelsea. Arsenal did win the 2014 FA Cup to end their 8 year trophy drought. Expectations: Having added a big signing with Alexis Sanchez while also bringing in Calum Chambers, Mathieu Debuchy, and David Ospina expectations are rather high in North London. Fans will be expecting Arsenal to finish in the top two and challenge for the title while also playing well in the Champions League. Some expectations will be slightly tempered by their FA Cup win, but most will expect them to push on for more trophies now. Prediction: Arsenal did bring in several players, but so did many of their rivals for the title. They will challenge for the top, but will ultimately fall short. They will also do well in the cups, but I believe they will focus on the Champions League in the hopes of making the final. Don’t be surprised if they do make it to the final. Once again, they will be relying on Olivier Giroud, but having Alexis Sanchez to support both GIroud and Ozil should help. I’m predicting a top four finish and a quality run in the Champions League. Previous Season: A 15th place finish with just 38 points and a -22 goal difference was a very disappointing finish. They struggled to score goals consistently with 39 all season. Expectations: They have brought in a few players, most notably the aging Joe Cole and Philippe Senderos along with the speedy Kieran Richardson. A mid table finish while pushing for top ten is the expectation for Aston Villa this season along with being able to entertain quite a bit more than last year. Christian Benteke needs to step it up this season while the defense will need to tighten up instead of relying so heavily on the outstanding Brad Guzan. Prediction: My prediction is another difficult season for the Villans. Paul Lambert has not shown the same promise here that he did at Norwich City. I have a hard time believing that they made enough changes to do anything differently than they did last year. Once again, they will be relying on Christian Benteke and Brad Guzan to carry this team, but will struggle if either of them having problems. My prediction is another relegation battle and a finish just above the drop zone. Previous Season: Burnley finished second in the Championship last year to win their automatic promotion to the Premier League. They ended the season with a 26-15-5 record with 93 points and a +35 goal difference. They also allowed the fewest goals at37. Expectations: Avoid relegation. That’s about it. Prediction: Relegation. They are going to struggle. Basically, there are better teams around them and they will need to hope that there are more teams worse than them. Previous Season: Chelsea finished third last year with a 25-7-6 record for 82 points. At times it almost seemed that Mourinho was sabotaging the season just to force a move for a high priced striker. Expectations: A trophy. Everyone around the club are expecting at least one trophy, but it needs to be either the Champions League or the Premier League title. Either one is quite possible for them. Prediction: I’m predicting a Premier League title win for them. Chelsea has a very deep squad and the addition of Diego Costa up front will make all the difference. With a striker of his quality I would expect that many of the matches that were draws last year will be wins this season. Previous Season: After starting out the season quite slowly Crystal Palace changed managers and worked their way to a 13-6-19 record to finish with 45 points. This was good enough for a surprising eleventh place in the table. Expectations: While a top ten finish might be out of reach, Palace are expected to finish outside of the bottom five. Another mid table finish between 10-15 would be a solid feat for them. Prediction: My prediction is that they will finish in the 10-15 range. There is a chance they could push for top ten, but I believe there are too many other quality teams around them that will keep them lower. Previous Season: Everton’s fifth place finish was something of a pleasant surprise. They put up a strong fight for the top four until the last few months of the season. In the end they finished with 72 points from a 21-9-8 record. Expectations: It is expected that Everton will again push for a top four finish and most likely finish just outside of the top 5 or 6. Prediction: I’m predicting Everton to struggle a bit more than they did last year. This year they will be in the Europa League which means more matches and increased fatigue. There has been very little done in this transfer window other than making Romelu Lukaku and Gareth Barry permanent signings. A top ten finish is my prediction, but one that will see them miss out on European competition for next year. Still, there is a chance that they will do well in the Europa League and possibly even win it. Previous Season: Hull were a team that looked likely to be relegated last season but punched above their weight in being able to finish in 16th place. While this put them just two places above relegation, the 37 points were largely gathered before a time when they were in any danger of going down. Expectations: Hull will hope to finish higher than they did last season while also avoiding any of the dangers surrounding a relegation battle. Safety is the key word for this team. Prediction: My prediction is a lower mid table finish for the Hull City Tigers. There are other teams around them that will most likely do worse than them. However, their involvement in the Europa League, as FA Cup finalists, mean that they could struggle if they put too much into it. The further they go in the tournament the more likely they will get sucked down to the bottom of the Premier League table. Previous Season: Leicester City very comfortably won the Championship last season to win automatic promotion thanks to their 102 points from a 31-9-6 record. Expectations: The safety of a mid-table finish. Prediction: My prediction is that they will finish mid-table and avoid relegation. They could experience some difficulties, but they look like a team that will be able to cope with the increased competition of the Premier League. Previous Season: Liverpool finally had a breakout season following years of mediocrity. A second place finish was quite a surprise considering where they ended the 2012-13 season. Yet, at the same time it was disappointing considering the way they slipped up with their chance at winning a first Premier League title. Expectations: They are expected to challenge again, although, losing Luis Suarez means that many of those expectations have been tempered. They have managed to bring in half of Southampton’s attacking threats along with several more players across the field as they work to build their squad depth. Prediction: I’m predicting a top ten finish for Liverpool this season. The loss of Luis Suarez means that they will be without a potent goal scoring threat as well as a player whose off the ball movements created space for his teammates to score as well. With the addition of Champions League football this season I think they will struggle to maintain the form of last season. Still, they were surprising last year and could surprise again this year. The problem will again be their ability to handle the stress of a full season being played at such high intensity with their ultra-high press each and every game. Add to that the Champions League, Capital One Cup, and FA Cup and it could become a long season for them. Previous Season: Last year’s Premier League champions stuttered to start out the season, but finished with a 27-5-6 record for their 86 points to finish two clear of Liverpool. It wasn’t always a convincing season, but by the end their +65 goal difference from 102 goals scored and 37 allowed was a fantastic haul. They also managed to add the Capital One Cup trophy for a league and league cup double on the year. Expectations: They will be expected to win again this year. They didn’t do a whole lot in the transfer window, but did bring in several decent players to strengthen. There are also high expectations for their prospects in the Champions League. Prediction: Manchester City will finish in the top four and most likely in the top two. If they do not win the Premier League, then they will be challenging for it. I predict that they will finish second, but that they will make it to at least the quarterfinals and probably even to the semifinals of the Champions League. Follow up with Part Two coming out later on this week. Be sure to keep coming back for my match predictions all season long. Please leave your team predictions below as well.